On 28 February 2005, Manchester City beat Norwich in a match best remembered for a halftime call to action by Norwich owner Delia Smith. In their first Premier League season since 1995, Norwich were struggling and looked likely to return to the second tier. By the time they hosted Manchester City at Carrow Road in February, they had dropped down into the table's twentieth spot, having won only three of their 27 matches. So it was a bit of a shock when Norwich surged to an early 2-0 lead with goals from Dean Ashton (12') and Leon McKenzie (16'). But they could not hold the lead, conceding twice before the break, one each to Antoine Sibierski (25') and Robbie Fowler (37'). 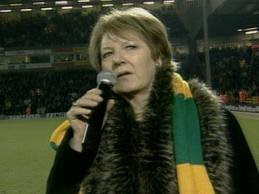 With the two teams level at half time, Norwich majority shareholder and celebrity chef Delia Smith took a microphone and tried to inspire the home supporters, saying she had "a message for the best football supporters in the world. We need a twelfth man here. Where are you? Where are you? Let's be having you! Come on!" Smith's outburst drew mixed criticism, with some applauding her devotion to the club and others claiming her behavior was undignified. In any event, her exhortation had little effect, as Norwich conceded another Fowler goal in the 90th minute and lost 2-3. They were relegated at the end of the season, but returned to the Premier League in 2011. After bouncing back and forth a couple of times, they were relegated again for the 2016-17 season and currently play in the Championship. On 27 February 1977, Argentina beat Hungary 5-1 in a friendly that marked the international debut of 16-year old Diego Maradona. At the time, Hungary had been the more successful team, with two World Cup finals (1938 and 1954), three Olympic gold medals (1952, 1964, 1968) and one silver medal (1972). But they were in decline, failing to qualify for the 1974 World Cup, the 1976 Olympics, or the 1976 European Championship. Argentina, meanwhile, had reached the Olympic final in 1928 and the World Cup final in 1930, but had since done little on the global stage (they did have 12 Copa América trophies, however). 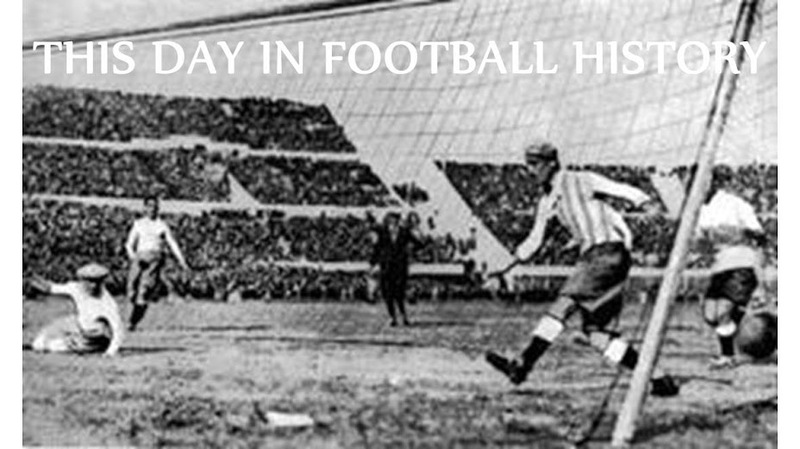 For the friendly, they met at the Bombanera in Buenos Aires, where approximately 60,000 people turned out to watch. By half time, the hosts were up 4-0 with a hat-trick from Daniel Bertoni (11', 18') and a goal from Leopoldo Luque (37'). Luque added another just after the break (47') to extend the lead to 5-0 before Hungary substitute Zombori Sándor pulled one back in the 61st minute. 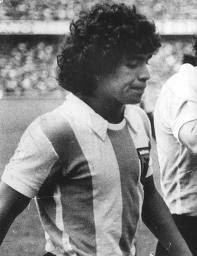 One minute later, Argentina made a couple of substitutions of their own, taking Ricardo Villa off for Jorge Benítez and replacing Luque with young Argentinos Juniors midfielder Diego Maradona. It was Maradona's first appearance for Argentina and he would go on to become the country's greatest player, earning a total of 91 caps and leading them them to World Cup glory in 1986. 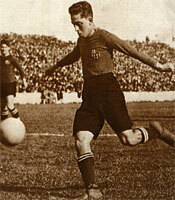 Apart from a brief break from 1916 to 1918 when he returned to the Philippines, Alcántara remained with Barcelona until his retirement in 1927. During that period, he won five Copa del Rey titles and ten Catalonian Championships (he also won two league titles with Bohemian while in the Philippines). He finished his Barça career with a record total of 357 goals in 357 games. That remained the club record until Lionel Messi broke it in 2014. Alcántara became a doctor after his retirement, but went on to become a coach (he briefly managed the Spanish national team), then returned to Barcelona as a member of the club's board of directors. 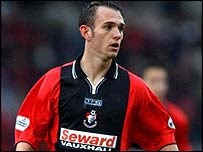 On 24 February 2004, Bournemouth substitute forward James Hayter set a Football League record when he scored a hat-trick in just 2 minutes and 20 seconds. And it wasn't even his biggest event of the week. Hayter had been with the Cherries since 1996 and had already tied a club record when he scored four against Bury in October 2000. But that was a relativiely minor accomplishment when compared to his performance against Wrexham in February 2004. Bournemouth were already up 3-0 when Hayter came on in the 84th minute, but scored twice in the 86th minute then once more in the 88th minute. With all three goals coming in the span on 140 seconds, it was the fastest hat-trick in English league history, beating the previous record of 130 seconds set by Gillingham's Jimmy Scarth in 1952. Unfortunately for Hayter, his parents did not see his record accomplishment, having left early when they thought he wasn't going to play. Despite the record hat-trick, the most memorable event of Hayter's week actually occurred three days earlier with the birth of his son. On 23 February 1901, Scotland opened the British Home Championship by getting their record margin of victory. 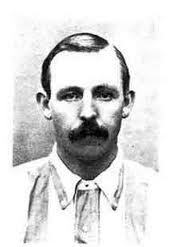 Ireland arrived at Celtic Park in Glasgow that day to face Scotland, who were the defending champions, but were completely unprepared for awaited them, as Scotland racked up 11 goals on the day--four from Celtic's Sandy McMahon (pictured), four from Rangers' Robert Hamilton, two from Celtic's John Campbell, and, for good measure, one from former Preston North End Invincible David Russell. Meanwhile, the Irish team were unable to breach the Scottish defense, so the match ended 11-0. It was Scotland's biggest win, but it wasn't Ireland's worst result, as they had been beaten 13-0 by England in 1882. Scotland went on to draw their next two matches with Wales and England to finish as tournament runners-up (England won). Ireland finished last, losing all three matches. On 22 February 2006, Australia made their first appearance as a member of the Asian Football Confederation, beating Bahrain 1-3 in an Asian Cup qualifier. Established in 1922, the Australian national team was a founding member of the Oceania Football Confederation, formed in 1966, along with New Zealand and Fiji. They were the federation's most successful team, but believed that the level of competition hurt their chances in major tournaments against teams from stronger federations--prior to 2006, they had qualified for only one World Cup, in 1974, which they exited in the group stage. In 2005, the Asian Football Confederation issued a formal invitation for Australia to join, which the OFC executive committee endorsed unanimously. After FIFA's approval, the move became official in January 2006. 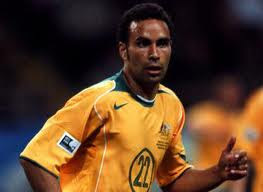 In their first official match as an AFC member, played in Bahrain's National Stadium, they fell behind 1-0 thanks to a goal from Husain Ali (35'), but got goals from Archie Thompson (pictured) (53'), Josip Skoko (79'), and Ahmad Elrich (penalty, 87') to claim the win. The increased level of competition had the desired result, as Australia went on to qualify for that year's World Cup and reached the Round of 16 before falling to eventual champions Italy, 1-0. 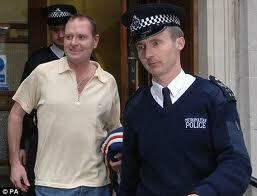 On 21 February 2008, former England star midfielder Paul Gascoigne's tragic battle with alcoholism and depression resulted in his compulsory admission to a mental hospital for treatment. Unfortunately for all involved, it did little good and he continues to struggle with his problems. Gascoigne, popularly known as "Gazza," enjoyed a remarkable career that started in 1985 with Newcastle and included spells at Tottenham (1988-92), Lazio (1992-95), and Rangers (1995-98), among others. Meanwhile, he was capped 57 times by England between 1988 and 1998, including a standout performance in the 1990 World Cup that sparked "Gazzamania" back in England. But throughout, he struggled in his personal life with addiction and other issues, including depression and bipolar disorder. His problems grew worse after his retirement in 2004, followed by a short and unsuccessful spell as manager of Kettering Town that ended with his sacking in 2005 after only 39 days in charge. He claimed later that he was drinking up to four bottles of whisky and vodka per day. In February 2008, police were called to the Newcastle hotel where he was staying while recovering from a hip operation. After he threatened to harm himself, he was taken into custody and compelled to enter a mental health facility. But by the end of the year, he was again deep into his alcoholism, reportedly drinking up to 30 cans of beer per day. After promising signs of recovery in 2009, Gascoigne again relapsed in 2010, culminating in two separate October arrests for drunk driving and possession of cocaine. A series of rehab attempts and relapses followed, most recently by his January 2017 entrance into a new rehab program. Labels: England, Newcastle United F.C., Paul Gascoigne, Tottenham Hotspur F.C. 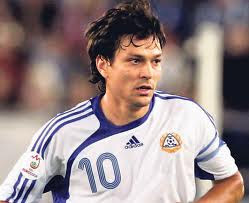 On 20 February 1971, Finnish striker/midfielder Jari Litmanen was born in the city of Lahti. He went on to become the national team's all-time leading scorer, playing for them in four different decades. He began his professional career in 1987 and spent time with Finnish clubs Reipas (1987-90), HJK (1991), and MyPa (1992) before joining Ajax, where he rose to international prominence. Between 1992 and 1999, he scored 135 goals in 253 appearances or Ajax, winning four league titles and the 1995 Champions League final (he finished as the tournament's second-highest scorer, with 6 goals). After leaving Ajax, he one and a half relatively quiet seasons with Barcelona, then joined Liverpool in January 2001. In his first season there, he collected four trophies--the UEFA Cup, the UEFA Super Cup, the FA Cup, and the League Cup--then won a fifth--the Community Shield--at the start of the next season. He returned to Ajax in 2002 and won another league title in 2004, then moved again to a series of clubs that included Lahti (2004, 2008-10), Hansa Rostock (2004-05), Malmö (2005-07), and Fulham (2007-08) before moving to his final club, HJK, in 2011 at the age of 40 (he retired later that year). Along the way, he made 137 appearances for Finland from 1989 to 210, scoring a record 32 goals. Labels: A.F.C. Ajax, Finland, Jari Litmanen, Liverpool F.C. On 19 February 2009, Estudiantes got their Copa Libertadores campaign off to an inauspicious beginning, losing 3-0 to Cruzeiro in the group stage. They later rallied, however, and ended up getting their revenge in the final. The Argentinians nearly missed out on the tournament altogether after losing to Sporting Cristal 2-1 in the first leg of their qualification round. But they won the second leg 1-0 and advanced thanks to their away goal. Their first match of the group stage was away to Cruzeiro, played before a crowd of almost 34,000 at the Mineirão. There, after holding the hosts to a scoreless draw in the first half, they conceded a 63rd-minute penalty which was converted by Cruzeiro left back Fernandinho. That goal opened the floodgates, as substitute striker Kleber scored twice more in the next ten minutes, first beating the keeper from a tight angle with a low ball to the far post (69'), then getting the ball past him in a one-on-one (72') to finish the match at 3-0. Estudiantes won the rematch 4-0 in La Plata and advanced to the knockout rounds as group runners-up behind Cruzeiro. They beat Libertad, Defensor Sporting, and Nacional to reach the final, where they again faced Cruzeiro and won 2-1 on aggregate to claim their fourth Copa Libertadores title (their first since 1970). On 18 February 1882, Ireland set a record in their first international. Unfortunately, it was a record loss, as they fell to England 13-0. The Irish FA had been founded two years earlier, making them the world's fourth oldest football association after England, Scotland, and Wales. For their inaugural match against England in Belfast, they pulled a team together primarily from two teams, Knock FC, who provided five players, and Cliftonville, who provided four. Their other two players came from Avoniel FC and Distillery, whose Samuel Johnston was only 15 years and 154 days old at the time. England's team was more diverse, including players from seven different teams. 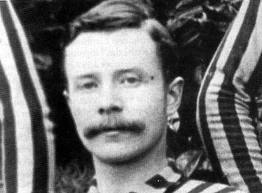 But one team, Aston Villa, delivered nine of their thirteen goals, with five from Howard Vaughton (pictured) and four from Arthur Brown, both making their England debut. The other goals came from Charles Bambridge (Swifts FC), Henry Cursham (Notts County and Old Corinthians), and a couple from James Brown (Blackburn Rovers). The match remains England's record victory and Ireland's (now Northern Ireland) record defeat. 17 February 2011 - Viva La Rewahlution! On 17 February 2011, American journalist Grant Wahl announced his candidacy for FIFA President, running on a platform of transparency and a pledge to clean up the global football authority. When Wahl made his announcement, FIFA and incumbent president Sepp Blatter were the focus of extensive criticism in the wake of alleged bribery scandals and the controversial decision to hold the 2022 World Cup in Qatar despite concerns about the weather and the country's need to develop an extensive infrastructure in a relatively short period of time. The two leading candidates for president were Blatter, running for his fourth consecutive term, and Mohammed Bin Hammam, president of the Asian Football Confederation and FIFA Executive Committee member. 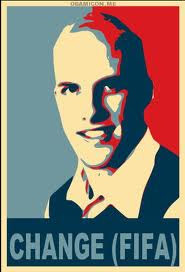 Wahl, a writer for Sports Illustrated, announced his intention to run on the Sports Illustrated website. He assured readers that his candidacy was serious and promised reforms including the use of goal-line technology and the public release of all of FIFA's internal documents. All he needed to become an official candidate was a nomination from any one of FIFA's 208 member associations. Although his campaign received a tremendous amount of popular support (he got 95% of the vote in an online poll and garnered a swell of encouragement among both celebrities and grassroots supporters), he was unable to convince any association to nominate him. While several members told him they would support him if nominated (votes were taken by secret ballot), they declined to submit his name, because the nomination process was public and they feared reprisals from FIFA. In April, shortly before the close of the deadline for nominations, Wahl ended his candidacy. Bin Hammam similarly suspended his own campaign, leaving the unopposed Blatter to win his fourth term. 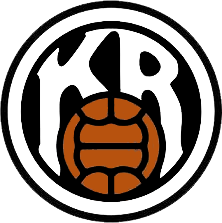 On 16 February 1899, Icelandic club Knattspyrnufélag Reykjavíkur were founded. The country's oldest club, they have since gone on to become its most successful club as well, with a record 26 league titles. Known as "KR," they play in black and white striped shirts, reportedly adopted from Newcastle. They won their first title in 1912, then won it again in 1919. A relative dry spell followed before they picked up another title in 1926, but they dominated the league afterward, winning six of the next eight. KR fell off a bit in the latter half of the twentieth century, failing to win a single title in the Seventies or Eighties, and winning only one--the 1999 championship--in the Nineties. But that sparked another run of success that led to their record 256th title in 2014. It was followed the next year by a record 14th Icelandic Cup. 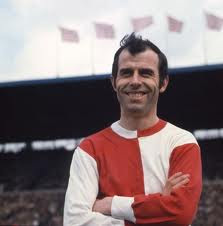 On 15 February 1937, Feyenoord legend and 1970 European Cup winner Coen Moulijn was born in Rotterdam. A quick and agile left-winger, compatriot Johan Cruyff once praised Moulijn, saying "Coen mastered one movement better than anyone: threatening to pass his opponent through the center, and then speeding past him on the other side. He was an exceptionally talented football player. A typical product of the Dutch school." He began his professional career at neighboring Xerxes, but moved to Feyenoord after one season and spent the remainder of his career there, making over 500 appearances between 1955 and 1972. Along the way, he helped guide the team to five league titles and two Dutch Cups. But he reached the pinnacle of his career in 1970 when Feyenoord won the European Cup over Celtic, 2-1. Throughout the tournament, Moulijn provided pinpoint service to his teammates Ove Kindvall and Ruud Geels, allowing them to finish as the competition's second and third-highest scorers that season, respectively. After his retirement in 1972, he remained in Rotterdam and stayed involved with the club. Feyenoord later called him their greatest player and erected a statue of him outside the stadium in 2009. He passed away in January 2011 at the age of 73. On 14 February 2010, Atlético Madrid did something no other La Liga team was able to do that season--beat Barcelona. It was a result few could have anticipated. Barcelona were at the top of the league table, unbeaten on the season, while Atlético were in thirteenth, just six points above the relegation zone. When the two teams met earlier in the season at Camp Nou, Barça cruised to a 5-2 victory. But after only eight minutes in Madrid, striker Diego Forlán (pictured) put the hosts up 1-0 after picking up a pass from José Antonio Reyes and putting it past Barcelona keeper Victor Valdes. Fifteen minutes later, Atlético doubled their lead with a free kick from Simão, taken at the edge of the box. Despite going down 2-0, Barcelona quickly regained their composure, getting a 27th-minute goal from Zlatan Ibrahimović. Later, the Swede had two opportunties for an equalizer, but was twice denied by keeper David de Gea. The young Spanish keeper also stopped a shot by Lionel Messi near the break. Barcelona's momentum had been rising at the end of the first half, but they could not maintain it in the second and the match ended 2-1. As consolation, it was their only loss of the season which ended with the league title. 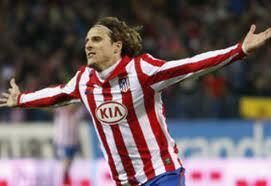 Atlético, meanwhile, improved their own fortunes and finished the season in eighth place. 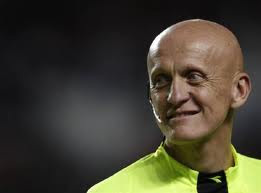 On 13 February 1960, Italian referee Pierluigi Collina was born in Bologna. A six-time World Referee of the Year award winner, he went on to officiate some of the sport's biggest events, including Champions League and World Cup finals. He got his start as a referee in 1977 and quickly rose through the hierarchy, taking charge of Serie C1 and C2 matches in 1988. Three years later, he was promoted to Serie A and B matches. In 1996, he took charge of his first major final, overseeing the Olympic final between Argentina and Nigeria, then, in 1999, he refereed the Champions League final between Bayern Munich and Manchester United. He reached the pinnacle of his profession in 2002, when he was top official for the World Cup final between Brazil and Germany. Meanwhile, the IFFHS named him their World Official of the Year for six straight years, from 1998 to 2003. Throughout his career, he remained above reproach, maintaining a high standard of professionalism and objectivity. When Italy was rocked by the 2006 match-fixing scandal, Collina's reputation was actually improved as police recordings of Juventus director Luciano Moggi, one of the primary conspirators, revealed that Collina refused to cooperate with any efforts to fix matches. He retired in 2005, but continues to be involved in the sport, serving as an official for the Football Federation of Ukraine since 2010. On 12 February 1949, Manchester United got their record FA Cup victory, beating Yeovil Town 8-0, with five of the goals coming from center forward Jack Rowley (pictured). United were the defending cup holders, then in their fourth season under manager Matt Busby. Non-League side Yeovil Town had done an impressive job just to make it to the Fifth Round meeting against United, having advanced with wins over Romford (4-0), Weymouth (4-0), Division Two side Bury (3-1), and Division One side Sunderland (2-1, aet). But that's where their good fortune ended, as they ran into a buzzsaw against United. 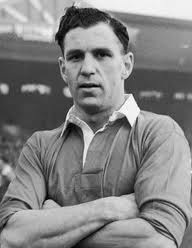 Playing at Maine Road (because Old Trafford was still unusable after being bombed in World War II), the Red Devils destroyed the Glovers with Rowley's five goals, two from Ronnie Burke, and one from Charlie Mitten. The 8-0 margin is United's best in the FA Cup and Yeovil Town's worst across all competitions. Manchester United went on to beat Hull in the next round, but fell to Wolves, the eventual winners, in the semifinals. Rowley left United in 1955 as the club's leading scorer with 211 goals in all competitions, though that total was later passed by Wayne Rooney (currently at 250), Bobby Charlton (249), and Dennis Law (237). On 11 February 1981, Nacional edged Nottingham Forest in the Toyota Cup to claim a 1-0 win. Established in 1960, the Toyota Cup/Intercontinental Cup paired the reigning Copa Libertadores champions against the current European Cup winners. Originally played as a home-and-away two-legged tie, the 1980 edition (played in February 1981) was the first to decide the winner with a single match and the first to be played at the neutral location of Tokyo's National Stadium. Forest entered the match on an unbeaten run of 42 matches and had collected international honors at a rapid pace, winning the 1979 and 1980 European Cups as well as the 1979 UEFA Super Cup. 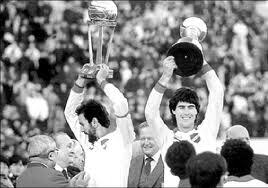 Nacional, meanwhile, had won the 1979 Uruguay Primera División along with that year's Copa Libertadores. Playing before a crowd of 62,000, Nacional took an early lead with a 10th-minute goal from forward Waldemar Victorino (pictured at right). The attack was started near the midfield line by right back José Hermes Moreira, who passed the ball, then charged down the right side, got the ball back, and sent in a cross. Victorino received it in front of the goal, avoided a tackled, then drove the ball into the roof of the net. It was Nacional's only real chance of the match, but it was enough. Nottingham Forest came close a couple of times, once sending the ball just wide of goal and then heading it off the post, but could not crack the Nacional defense. The day ended 1-0, with Victorino as the man of the match. On 10 February 2006, Egypt won their fifth African Cup of Nations trophy, beating Côte d'Ivoire on penalties, 0-0 (4-2). The match came forty-nine years to the day after their first win in an ACN match. The two teams met earlier in the tournament's group stage, with hosts Egypt winning 3-1 on their way to topping the group. Côte d'Ivoire finished second to join them in the knockout rounds, where they upset Cameroon in a penalty shootout, 1-1 (11-12). The final, played before a crowd of 80,000 at Cairo International Stadium, was not without controversy. After Côte d'Ivoire striker Didier Drogba missed a chance to win the match in regulation, Egypt had an 83rd-minute goal disallowed. Then, in extra time, Egypt won a dubious penalty kick for what appeared to be a fair challenge on Mohamed Barakat, but captain Ahmed Hassan sent his attempt off the bar and the match headed into penalties. There, Hassan converted the first kick, while Egypt goalkeeper Essam El Hadary saved Côte d'Ivoire's first kick, taken by Drogba. 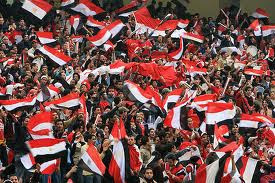 After Egypt's Abdel Halim Ali missed his attempt, El Hadary saved another to put Egypt ahead 2-1 after three kicks each. Emmanuel Eboue made his shot to bring the teams level, but Mohamed Aboutreika made the last kick for Egypt to claim the victory. On 9 February 1931, midfielder Josef Masopust was born in Czechoslovakia. After leading the national team to a World Cup final, he was voted European Footballer of the Year and was later named the country's greatest player. Masopust started his professional career in 1950 at the age of 19, signing with ZSJ Technomat Teplice. He played there for two seasons, then moved to ATK Praha (later renamed Dukla Prague) in 1952 and remained there for the majority of his career, scoring 79 goals in 386 appearances and winning eight league titles. 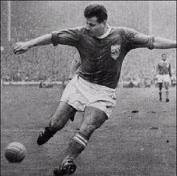 He rose to international prominence with the Czechoslovakian national team, earning 63 caps between 1954 and 1966. After a first-round exit in the 1958 World Cup, Masopust helped the team to a third-place finish at the 1960 European Championship, then reached the final of the 1962 World Cup. There, Masopust scored his only goal of the tournament to give Czechoslovakia a 15th-minute lead, though they went on to lose 3-1. Later that year, Masopust became the first Czech player to win the Ballon d'Or. He continued to play until 1970 (spending his last two seasons in Belgium with Crossing Molenbeek), then moved into management, including spells with both Dukla Prague and the national team. In 2003, when UEFA, in preparation for their 50th anniversary the following year, asked each of their member nations to name their best player of the past fifty years, the Czechs chose Masopust. 8 February 1998 - Made Their Name Kind Of Ironic, Didn't It? 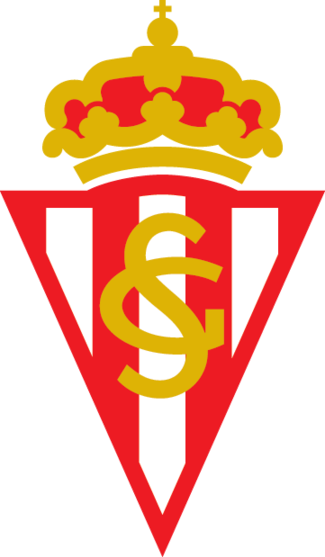 On 8 February 1998, Sporting de Gijón ended a record run of futility with their first win in 25 matches. After ending the previous La Liga season on 22 June with a draw at Oviedo to claim a 15th-place finish, Sporting started the 1997-98 season by losing their first six matches. They claimed their first point of the new season in their seventh match, then proceeded to lose their next five. Counting the one from the previous season, they stretched their winless streak to 24, with 20 losses and only three draws, setting a Spanish record in the process. They finally broke the run with a 2-1 victory over Racing Santander on 8 February. Unfortunately, it was one of only two wins for them all season and they finished the year at the bottom of the table and were relegated to the Segunda División. They remained there for a decade, eventually winning promotion back to the top flight for the 2008-09 season. On 7 February 1997, USSR-born defender Akhrik Tsveiba joined an exclusive group when he made an appearance for his third national team. In 1990, at the age of 33, Tsveiba (pictured) started his international career with the Soviet team, making 25 appearances for them through the summer of 1992 (the last seven of those appearances were with the Soviet Union's successor team, the Commonwealth of Independent States). He proceeded to make another seven appearances for Russia, bringing his career total to 34 before retiring from international play in 1997. While players with caps from two different national teams are not uncommon, Tsveiba is one of only seven who have played for three different teams. Three of the others--Yury Nikiforov, Andrei Pyatnitskyi, and Sergei Mandreko--were former USSR players in similar situations to Tsveiba. The other three are Josef Bican (Austria, Czechoslovakia, and the Protectorate of Bohemia and Moravia), László Kubala (Czechoslovakia, Hungary, and Spain), and Karel Burkert (Bulgaria, Czechoslovakia, and Bohemia and Moravia). 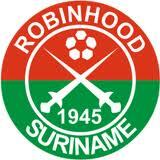 On 6 February 1945, SV Robinhood was founded in the Surinamese capital of Paramaribo. They have since become the country's most successful club, with a record 23 league titles. The club was originally organized as a recreational outlet for the area's poorer citizens, which perhaps explains the unusual name, though no record of the reason survives. 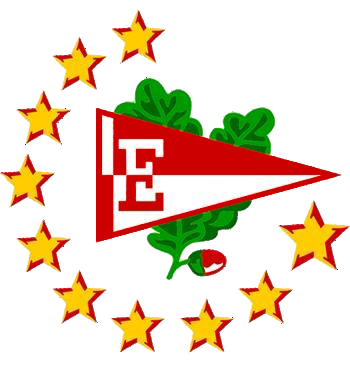 They joined the league in 1946, starting in the third division, and rose quickly through the ranks, winning the first of four consecutive titles in 1953. They continued to accumulate silverware in the '60s and '70s, but really hit their stride in the '80s, winning the league nine times in that decade--every year but 1982, when they lost out to derby rival Leo Victor. Robinhood won their most recent league title in 2012 and finished 7th out of 10 teams the last two seasons. 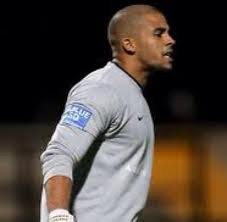 On 5 February 2011, Ebbsfleet goalkeeper Preston Edwards became an internet sensation after getting sent off in a match after just ten seconds. Ebbsfleet, who were sitting in second place in the Conference South table, were at fourth-placed Farnsborough, whom they had beaten 2-1 earlier that season. The visitors kicked off and promptly sent the ball down to their left back, who--under pressure from a Farnsborough player after a failed clearance--tried to pass it back to Edwards. But the pass was too slow, allowing another Farnsborough player to get to it instead. In order to prevent the goal, Edwards brought the attacker down in the box, resulting in a straight red--the fastest ejection in history for a goalkeeper. With no substitute keeper on the bench, Ebbsfleet were forced to replace him in goal with midfielder Tom Phipps, who made a valiant effort, but failed to stop the ensuing penalty kick. It was the first goal toward the final score of 3-0 for Farnsborough. Video of the incident went viral soon afterward, making Edwards an overnight celebrity. Speaking to BBC Radio Kent, he said "I'd like to be known for better, different reasons, but it's happened. I've got to take it on the chin. At least I've got something in history." He ultimately got payback, however, as Ebbsfleet beat Farnsborough at the end of the season in the promotion playoffs, earning a spot in the Conference National. On 4 February 1937, Stoke City recorded their record league victory, beating West Brom by the score of 10-3. It is also West Brom's record loss. The teams met at Stoke's Victoria Ground separated by six spots in the table, with Stoke in fourteenth and West Brom sitting in twenty-first, only one place above the bottom. Their previous match ended as a 2-2 draw, so few people expected what happened next. 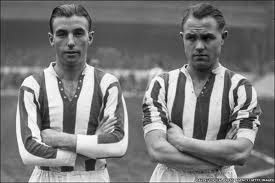 Powered by their star forward Stanley Matthews (pictured, left), Stoke took the lead in the 10th minute (scored by Freddie Steele (pictured, right) from a Matthews cross), but West Brom equalized one minute later. They scored again in the 20th minute and never looked back. Steele converted a 32nd-minute penalty to extend the lead to 3-1, then scored again to push the lead to 4-1 by the break. In the second half, Stoke continued to surge and were up 5-1 before West Brom got their second goal. But Steele continued to torment the Baggies, scoring twice more to push the score to 7-2 en route to the final score of 10-3. While that remains a record margin in the league, it is a distant second to their 26-0 win over Mow Cop in the Staffordshire Senior Cup in 1877. Steele went on to score a club record 33 league goals that season, part of his career total of 140 in 224 league appearances. 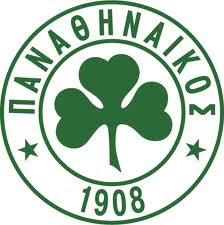 On 3 February 1908, Panathinaikos were founded in Athens. They have since gone on to become one of the most successful teams in Greece, with 20 league titles and one European Cup final to their name. The club's founder, Giorgios Kalafatis, led forty others in a breakaway from their previous club, who had decided to drop football. They originally adopted the name Podosferikos Omilos Athinon, but changed it to Panathinaikos in 1924. Along the way, they fixed green and white as their colors and chose a shamrock as their club emblem (taking it from Chalcedona of Constantinople, the former club of Panathinaikos star and subsequent club president Michalis Papazoglou). They won their first league title in 1930, but enjoyed their greatest run of success in the 1960s, winning six championships in the decade. In 1971, under manager Ferenc Puskás, they finished as European Cup runners-up, losing to Ajax in the final (it was the first of three consecutive European Cups for the Dutch side). Panathinaikos won their most recent league title--their 20th--in 2010, adding it to their collection that includes 18 Greek Cups and three Greek Super Cups. On 2 February 2011, Brazilian giants Corinthians were dumped out of the Copa Libertadores in the first round by Colombian side Deportes Tolima. The two sides met over two legs and played the first one to a scoreless draw in São Paulo on 26 January. One week later, they reconvened at Tolima's Estadio Manuel Murillo Toro to decide the contest. There, playing before a crowd of 15,000 the hosts took control of the match early and were denied a quick lead only by the brilliant play of Corinthians goalkeeper Júlio César and the referee's decision not to award what looked like a certain penalty for an 18th-minute foul by Corinthians in the box. Corinthians did better in the second half, getting a great chance in the 50th minute with a powerful blast from striker Ronaldo (pictured), but Tolima keeper Anthony Silva managed to parry it. They then fell victim to a controversial goal on a Tolima counterattack in the 66th minute when forward Danny Santoya beat César after getting the ball in a marginally offside position. Tolima's second goal left no room for doubt, however, as unmarked striker Wilder Medina connected on a cross and headed the ball home. The 2-0 loss continued Corinthians' frustration in the tournament, which they have never won. Tolima advanced to the group stage, but were eliminated there. On 1 February 1958, Luther Blissett, who holds the Watford records for appearances and goals, was born in Jamaica. 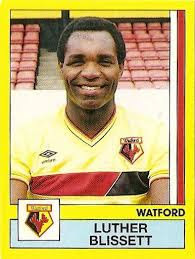 The striker, who moved to England at a young age, joined Watford's youth team in 1974, then signed a professional contract with the Fourth Division side one year later. His first two seasons were unremarkable, but he began scoring at a rapid pace in the 1977-78 season and helped Watford climb the league table all the way to the First Division by 1982. That season in the top flight--the club's first--was Blissett's best with a total of 27 goals in 41 appearances. His performance caught the eye of Italian giants AC Milan, who signed him in June 1983 for £1M. But his form remained in England and he scored only six times in 39 appearances across all competitions before Milan sold him back to Watford for £550,000 in the summer of 1984. He remained there for another four years, then moved to Bournemouth for three seasons before returning to Watford for a third and final time. By the time he left again in 1992, he had set club records for appearances (503) and goals (183). He retired 1994 after brief spells with Bury and Mansfield Town and also made a total of 14 appearances for England. In 1994, a group of political and cultural activists in Italy adopted Blissett's name as a collective pseudonym for a series of pranks, saying "anyone can be Luther Blissett simply by adopting the name Luther Blissett." Use of the name quickly spread across Europe and the United States and was attached to a variety of activities, including one novel written under Blissett's name. The real Luther Blissett joked about participating, but is not actually a part of the project. Labels: AC Milan, Luther Blissett, Watford F.C.